This retractable pen features a silver barrel with metal clip and chrome accents. 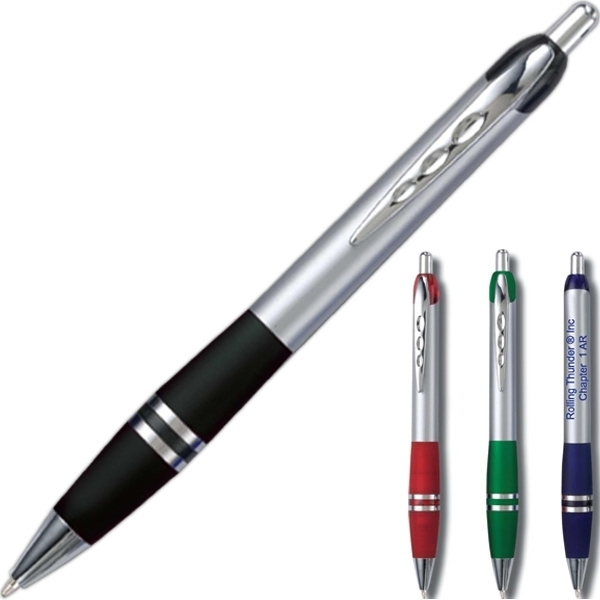 Colored grips with a double ring in the grip giving this pen a great enhanced look. Also notice the translucent colored accent at the top of the clip. 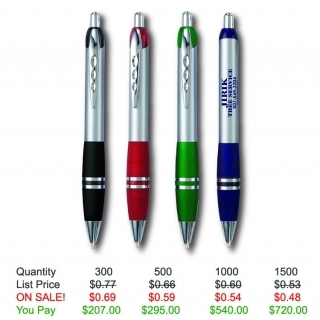 A definite eye catcher at an amazing price. 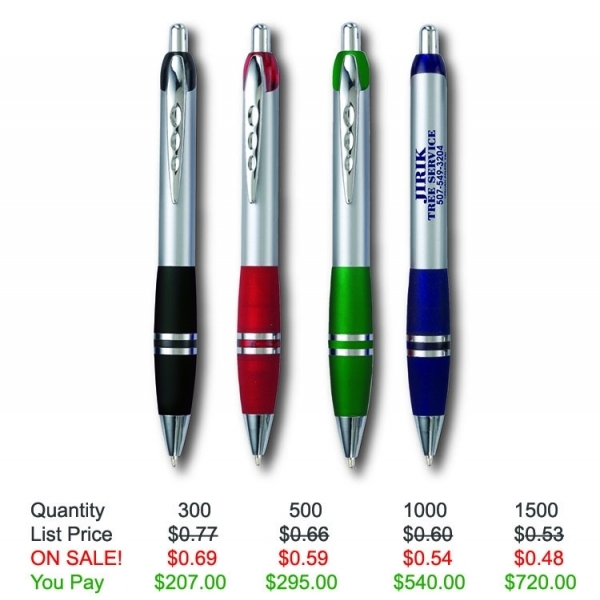 Product Features: Retractable pen features a silver barrel, metal clip, chrome accents, and a colored grips.